Maison Meneau, the heirs to a long line of flavour. Maison Meneau was established in 1879 at the port of Bordeaux, where flavours were brought together and the company blended sugar from faraway islands with Aquitaine fruit for the pleasure of taste. Today the family company is run by Vincent and Philippe Lassalle Saint-Jean, heirs to the artisan recipes. It carries on the company’s legacy and continues to use ingredients from all over the world. Combining the pleasure of good taste and good health: in the quest for a perfect balance. 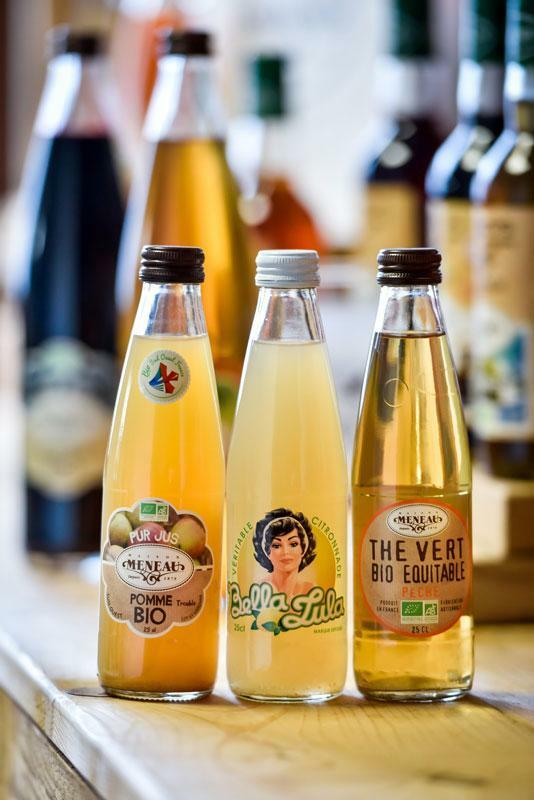 Syrups, fruit juices, smoothies, cooking aids – Maison Meneau sells a wide range of products with sought-after flavours that meet quality standards. They are also constantly seeking to develop new recipes and new types of consumption. Responsibility, authenticity and quality are the key values which have prompted Maison Meneau to turn to organic agriculture. Sharing, precautionary principles and innovation are the commitments made to support their sustainable development approach. All of the raw materials used by Maison Meneau come from organic agriculture. Juices and syrups are made without any chemical additives, preservatives, colourings or flavour enhancers. Maison Meneau is also committed to the organic fair trade sector for sugar (from Paraguay and Brazil), ensuring fair prices to cover production, environmental and social costs that also leave a margin for local investment (in schools or even dental clinics).